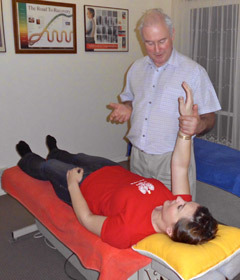 Dr Neal (Chiropractor) will repeat the tests done during your first visit. If at any stage you decide that your health goals have changed from what you have originally stated, please inform Dr Neal (Chiropractor) at the earliest opportunity and alterations to your schedule can be made accordingly. If you think that you or a loved one may be a good candidate for chiropractic care, contact Rennie Health Centres to arrange a thorough examination in our practice.